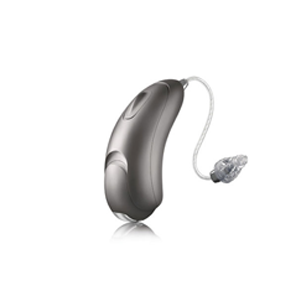 The Unitron Moxi All Rechargeable 600 hearing aids run with the latest platform that creates the best conversation experiences for the wearers. The device can connect to iPhones, Android smartphones and other audio content gadgets with compatible Bluetooth connectivity. The hearing aid may use a special battery door and a set of the silver-zinc rechargeable batteries together with the charging case to power up and work.